An Interview With A Film Director! As an aspiringwriter/director, it is always amazing when I see other women in the industry absolutely bossing it. There are definitely still a lot of issues with equality in the film industry (in fact I have a whole post about that here!) but things are changing and it's exciting. When Catalina Gonzalez got in contact with me about a collaboration between her film and my blog, I jumped at the chance! 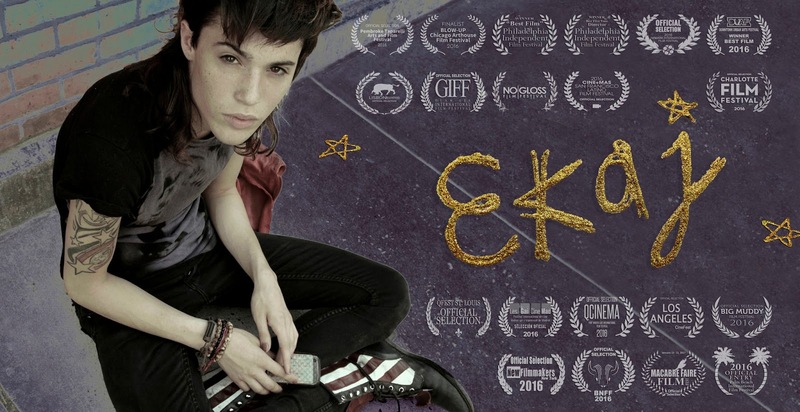 Catalina's film is called Ekaj and is about Homeless LGBTQ youth in New York. The Film touches on various topics such as Homelessness, HIV/AIDS Awareness, Bullying, Drug Addiction, Rejection, Love and Perseverance. EKAJ is a love story between two drifters, a naive teenager and a hustler. Ekaj meets Mecca who takes him under his care. Mecca has AIDS and multiple problems of his own. He is high all day but still manages to be the only voice of reason in Ekaj’s hopeless world. They cruise the city together looking for money and places to stay. Although Ekaj makes some money as a prostitute, he finds himself discarded, and lacking what it takes to survive in the city. Their mutual loneliness leads to genuine friendship. The film is currently doing the film festival run in both Europe and the USA and has won numerous awards including "Best Film" at the NY Downton Urban Arts Festival and the Philadelphia Independent Film Festival. It has also just recently been selected to be screened at another festival called “IDYLLWILD Film Festival” which is considered a “Mini Sundance”I was lucky enough to be able to interview Catalina about the film, but if you would like to watch the trailer first then you can click this link here! What gave you the idea for the film? I I wrote the script inspired by “Midnight Cowboy” but with Nuyoricans from the Bronx. I know many from the fashion scene in NYC and I have always liked their style and rawness. It took us about 3 years to complete the Film. We could have had it done earlier but I took my time to see Jake grow a bit in the film. I really like the documentary style to the film, what made you want to shoot it in this way? I had been a Photographer for many years working in the Fashion Industry and Music Industry doing Portraits go B.I.G., Pharrell Williams, Common, Russell Simmons, David Cronnenberg, Jamie King, Chloe Sevigny, etc. My style has always been the same, www.catiandmikegonzalezfilms.com To be honest, I really don’t think much about it, I just go with my emotions and shoot. Many of the conversations between the characters seem very realistic, especially when Ekaj and the Mecca are at the table. How much of the dialogue was scripted and how much was improvised? Both, I let them interpret the script with their own words and sometimes they got carried away and it worked great but Ekaj is more scripted then people think, eighty percent of the time. I would read and they would repeat, since they didn’t learned their lines. The actors didn't seem like your average "beautiful" actor but instead very real. How did you cast the film? Working in Fashion help me find people easier. I have always liked raw beauty. I found Jake Mestre on Facebook through a friend of a friends page and fell in love with his beauty immediately. I rarely look for new faces to discover but his just stood out to me. I wanted to make him into a model and took him to several agencies but he was still immature and wasn’t ready. I had just finished writing the script and was about to give up on him and then I thought, he could be a perfect [fit] for the film being that he was rebellious like the character, so I casted him. I already had met another young man that was related to my partner Mike. He too was really beautiful but in a rougher way. He ended up dropping out in the middle of the film and I had to re-cast. That’s when I found Badd Idea. He fitted the part perfectly. Yes. I also have a new feature script that I’m currently working on that’s in the second draft phase which I also hope to get on the screen. If you could describe the film in 3 words what would you say? And finally, any advice for aspiring film makers reading this who want to make their first feature? Set your dreams high, you can always bring them down a step but begin with the top. Never give up. No matter how hard the road may be or what people say to discourage you, just keep pushing forward with your vision. Anything is possible if you believe in it. You can watch the full film here. I'd love to hear your thoughts in the comments below! 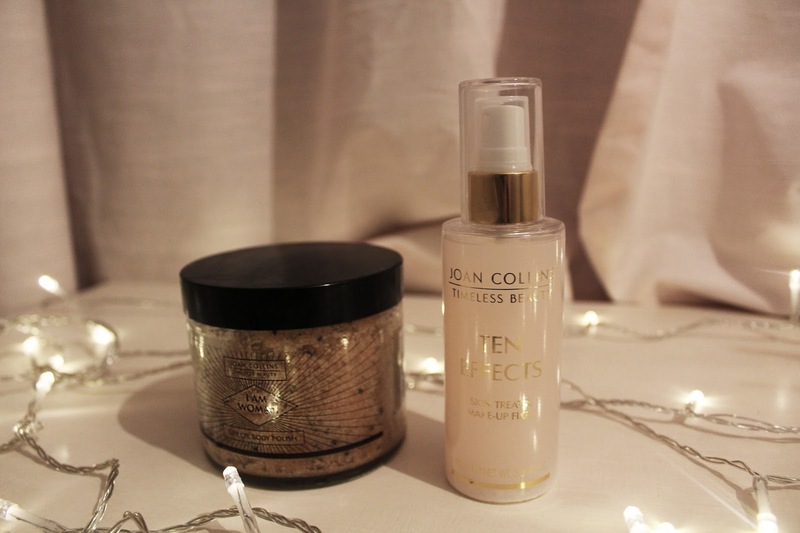 I was lucky enough to be sent some products from the Joan Collins Timeless Beauty collection a couple of months ago and I am finally ready to tell you all about them! 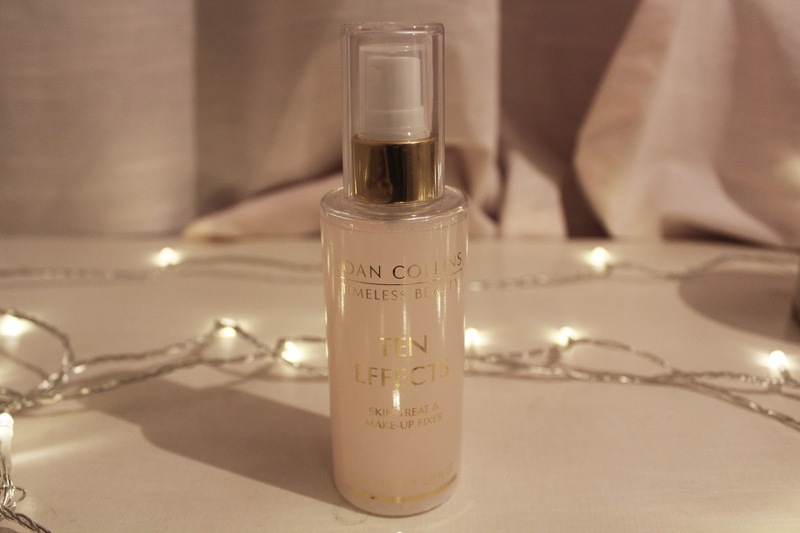 When I think of Joan Collins I think of sophistication and glamour, so I was very excited to try out her beauty range! 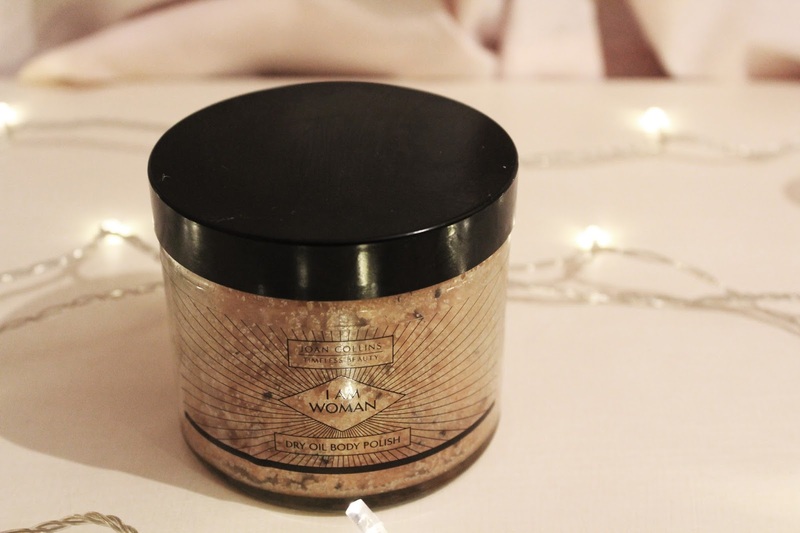 The two products I received were the I AM WOMAN Dry Oil Body Polish and the TEN EFFECTS Skin Treat & Makeup Fixer. When I first opened the box my draw dropped, I couldn't believe how luxurious the packaging looks. So first up lets talk about the body polish as this is what intrigued me the most out of the two products. It is made by blending 3 plant oils (olive, avocado and golden jojoba) with Himalayan salts and kiwi water. Even just typing that makes me want to go and bathe in it! The oils are said to be favourites of Joan and let me tell you, it is heavenly. I use it every day now in the shower after my usual shower gel and I love it. It has a beautiful floral smell and it's one of those things that makes you ask everyone to feel your arm just to show them how soft you are! And as if this product wasn't brilliant enough, it only costs £18! I honestly thought it would be £30 or more so you are getting a real bargain here. On the first day I used this I was really impressed with how it kept my makeup on all day, especially my foundation which is usually the first to go. However after wearing it a few more times I found it made my skin look quite oily and shiny. It also had the tendency to feel a bit sticky. My mum also tried this product and was disappointed as she was hoping it would help with her pores but she didn't see much improvement and it also made her eye makeup quite runny. We also were really un keen on the smell. The product contains rose water but the smell of it was very over powering. 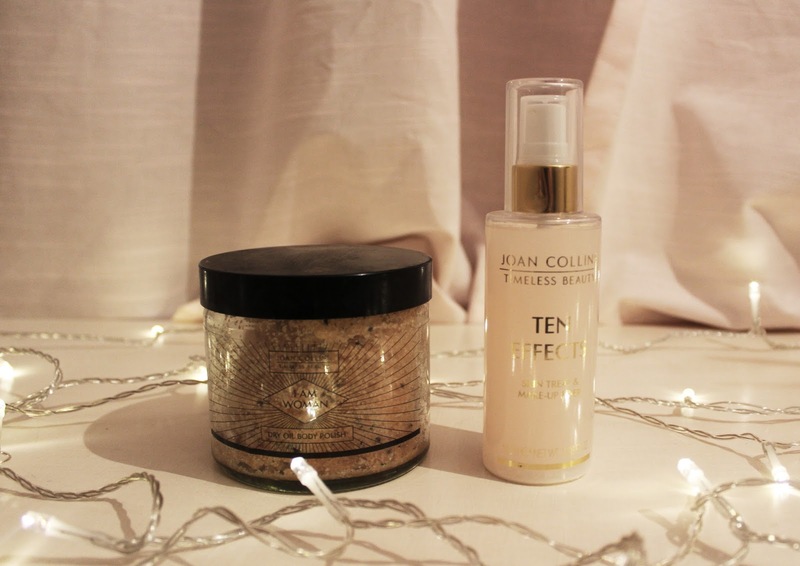 So although I was disappointed with this product, I am still in love with the body polish and would really love to try out some more items from the Timeless Beauty range, especially the makeup! I think I should also mention that it is cruelty free which makes it even better! Thanks for reading! 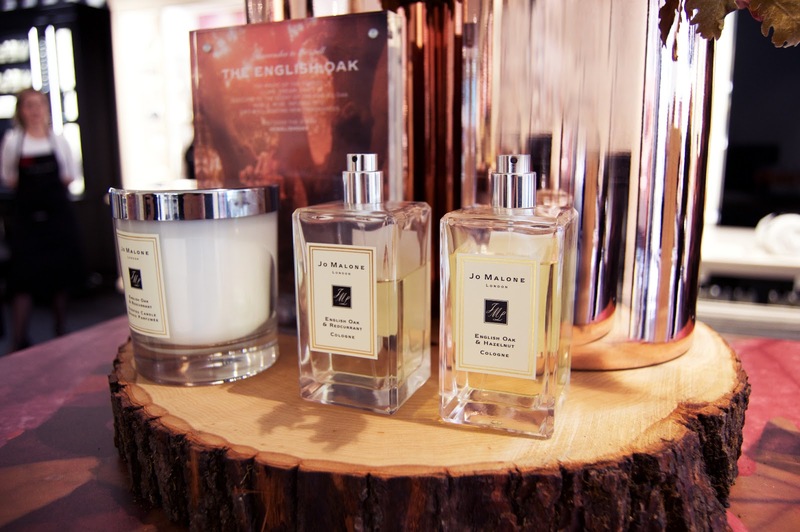 Have you tried any of the Timeless Beauty range? *The products mentioned were given to me for review however all opinions are and will always be, 100% my own. Remember a few months ago when I did a post on my favourite spring coats? 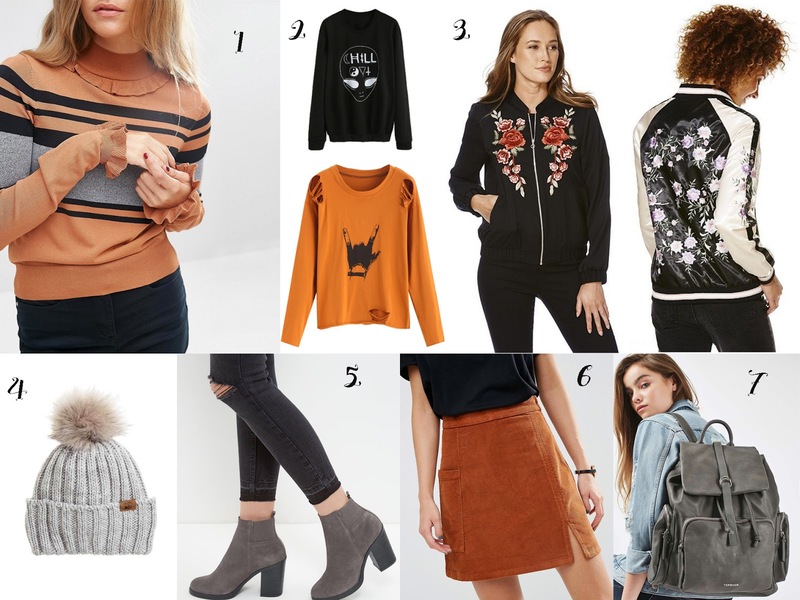 You guys seemed to really enjoy it so I thought I'd follow it up with a round up of my favourite autumn jumpers! Autumn is honestly my favourite time of year (I've probably mentioned in that in every post since the end of September) and my favourite part is getting to wrap up warm and seeing all the pretty leaves on the ground! About a month ago I bought a whole load of new jumpers in the Brighton Student Lock In so I probably own about 15 now but somehow I managed to scale it down to my 3 favourites to show you! My mum actually bought this one for me last year from New Look. I love it because it has a super 90s look to it and it is SO WARM. Sometimes too warm though, you can't really wear much more than a vest top underneath unless you want to melt every time you go inside. I like pairing this with some leggings for a simple but cosy look! Another one from New Look (they do the best jumpers in my opinion). I love this one because it's thick and baggy but unlike the turtle neck one you don't get too hot whilst wearing it! Also the colour of it means it goes with pretty much anything but looks the best with black ripped skinny jeans and a choker as it gives your outfit a super grungey vibe to it! I am wearing the same jeans in all the pictures though because I didn't want to change my trousers whilst in the park, soz. Ok I don't think this one even needs an explanation as to why it's my fave. 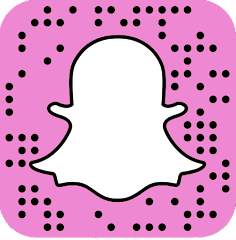 If you're a blogger reading this then you probably need it now too! It's from Bershka, btw, you're welcome. I hope you enjoyed this post! 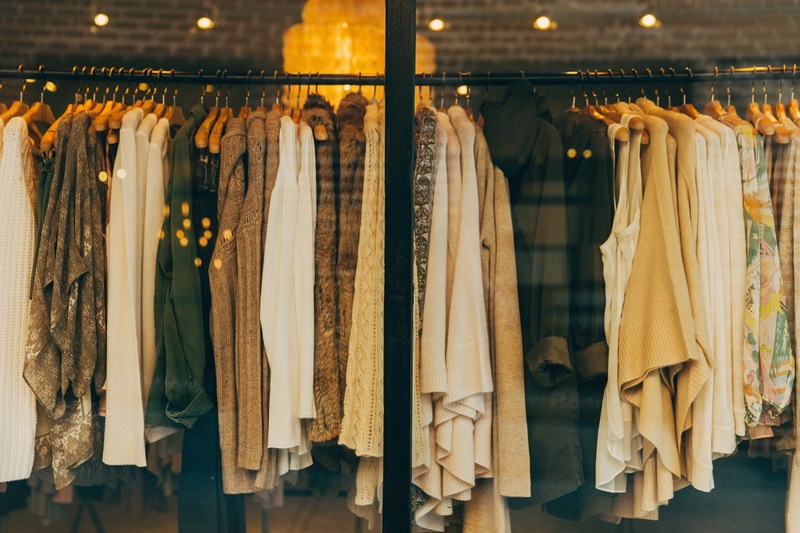 What's your favourite item of clothing to wear in Autumn? One of the best things about Halloween for me is watching lots of horror films! But it's not only the movies that can get you ready for Halloween, lots of TV shows (especially American ones) have Halloween special episodes. 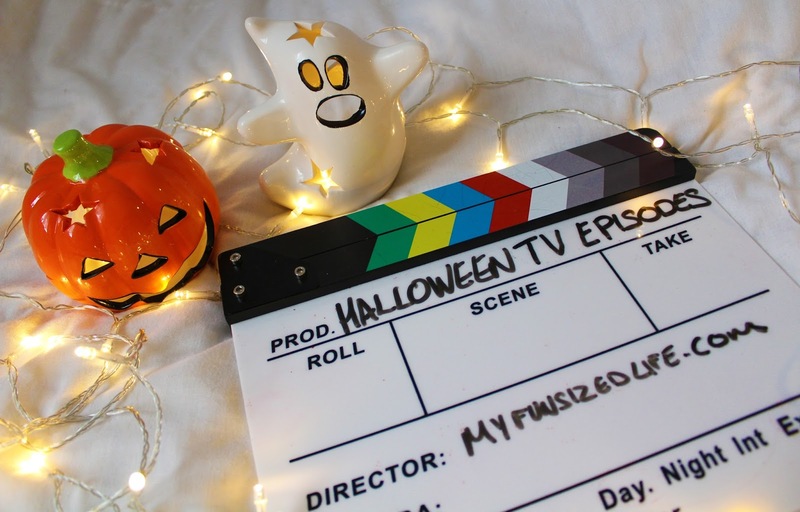 So today I thought I'd list my favourite for you to watch and get your spook on over the next few days! When thinking of Halloween episodes, the first one that always comes to mind for me is the That's So Raven Halloween special! In case you don't remember (or perhaps have never seen the show, in which case we can't be friends) in this episode, Raven and Chelsea are the only ones in school not to be invited to Alana's Halloween party so naturally they decide to make a wishing potion to get them invited and to have the best costumes in school. However, Chelsea's cow badge falls into the potion and the end up turning into cows! 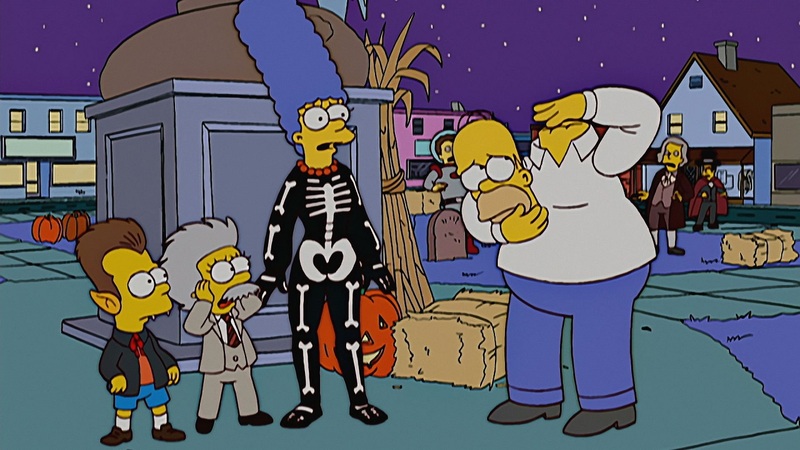 It also has a sub-plot of Corey feeling too old to go Trick or Treating with his Dad which is quite cute! Click here for the link to it on vimeo if you feel like being nostalgic! There are so many great things about this episode! First of all, Chandler's pink bunny costume is classic but I feel like Ross' takes the cake (Spud-nik anyone?) This episode also opens up the storyline about Pheobe and Eric and sees Rachel dealing with her pregnancy (remember when she gives all the candy to one child!). Also you can't mention this episode without mentioning the arm wrestle between Ross and Chandler! You can find this episode on Netflix and I think I'm going to go watch it once I've finished writing this post! 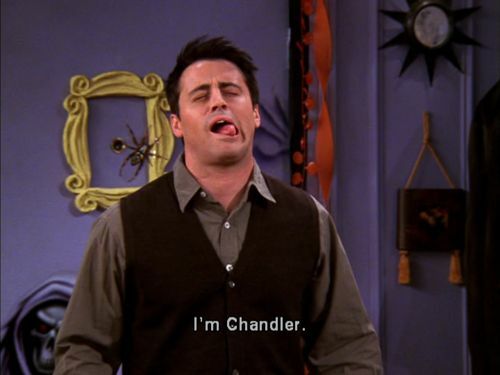 -Also I just realised that the picture I used doesn't include Joey which is quite frankly not on so here is some extra Joey from that episode for you. 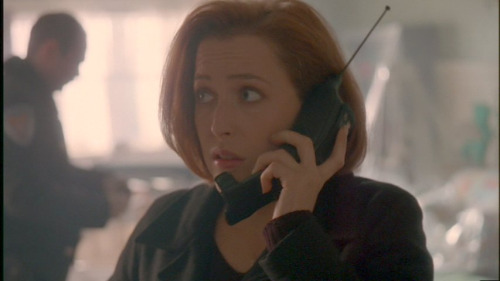 Ok so this is a blog post by me and it's about TV shows, you knew The X Files would find it's way in here somehow! And yes okay technically this is not a Halloween special and yes to be honest you could probably watch any X Files episode over Halloween (and you should) because they are all spooky, but this one is actually really scary and perfect for this time of year! In this episode Scully tries to go on vacation but ends up holidaying in the same town that is experiencing some pretty weird events, typical. At first the finger is pointed at a young mother who is suspected to be a witch, but the truth is actually much more sinister. This episode features possessed dolls and creepy children and if that wasn't enough for you - it was written by Stephen King himself! Just like The X Files, you could pretty much watch any episode of Supernatural if you want to get spooky on Halloween! But they do actually have a halloween special episode as well. In this episode they are racing to stop a group of witches from resurrecting the demon Samhain who is infamous for unleashing death and terror on the night of hallows eve. If they can't stop them in time then the angels plan to blow up the entire town. This episode is during season 4 where we are just meeting all of the angels and demons that play a big part in the seasons to come, in fact this episode is where Sam and Castiel meet for the first time! I love this episode because there's some pretty original death scenes including a razor blade chocolate bar and boiling hot apple bobbing! We also get to see Dean Winchester giving us some comic relief stuffing his face with sweets and teasing greedy children. I found a clip of one of these funny scenes on youtube so click here if you want a laugh! You can't talk about TV Halloween specials without mentioning The Simpsons! 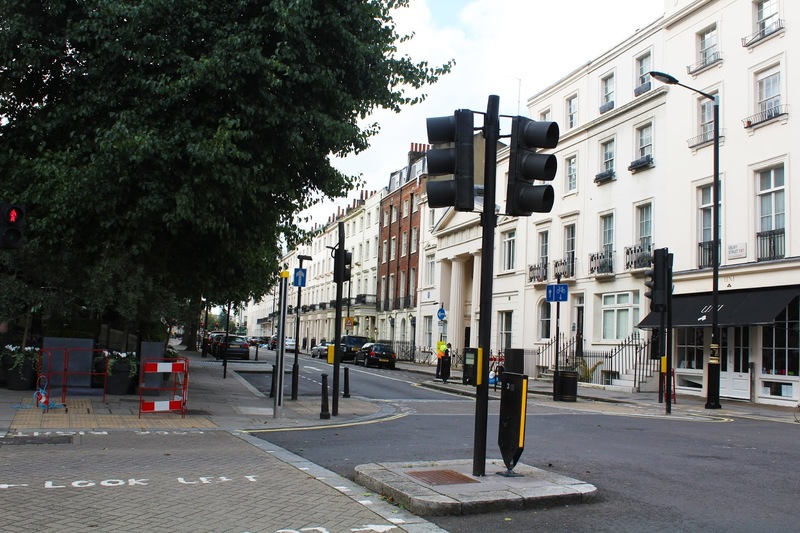 I have seen so many of these over the years that it's hard to pick a favourite! I love how they reference other films, including The Shining, The Exorcist, The Twilight Zone and Poltergeist just to name a few! I found a cool clip of some of the best scenes from the Treehouse of Horror series over the years, so click here if you fancy watching that! That's it for this post! There are so many more Halloween episodes I could have mentioned including Parks & Rec and Modern Family but these are my top 5! Do you have a favourite Halloween special? Let me know in the comments! 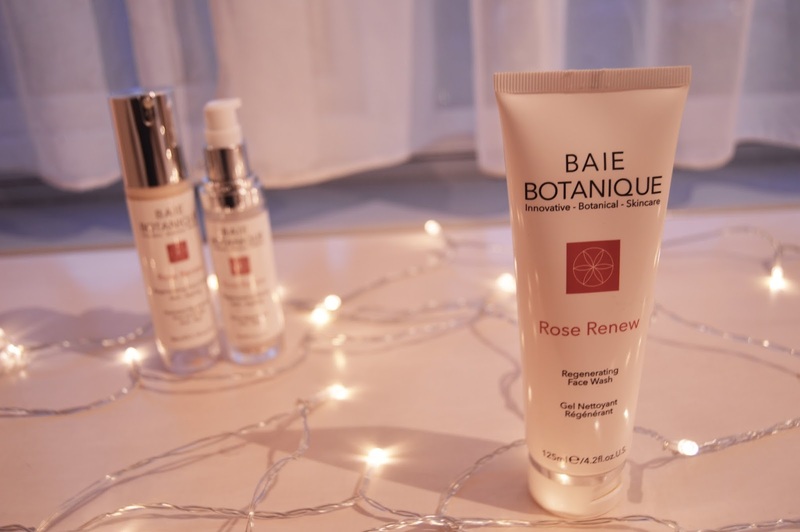 As a vegetarian I am always keen to find great products that are cruelty free so I was excited to try the Baie Botanique Rose Renew range. 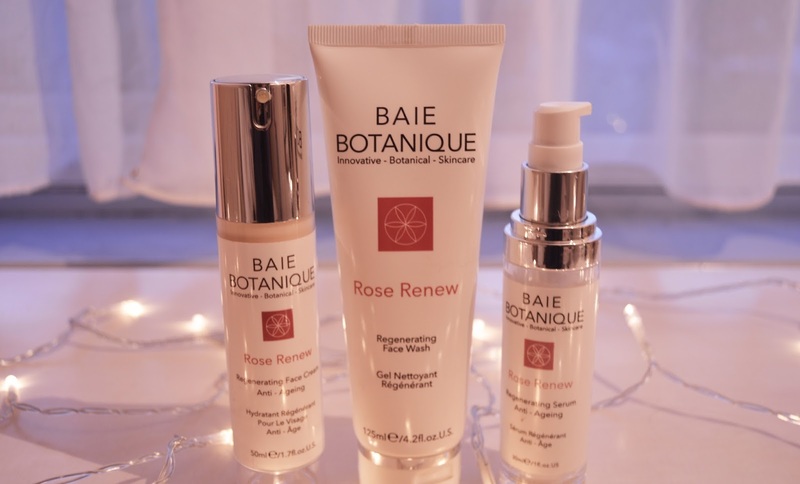 I got to try out three out of the four products they have to offer, the regenerating serum, regenerating face wash and the regenerating face cream. The first thing I noticed when I opened the box was the stunning packaging. Like can we all just take a moment to appreciate this colour scheme please? 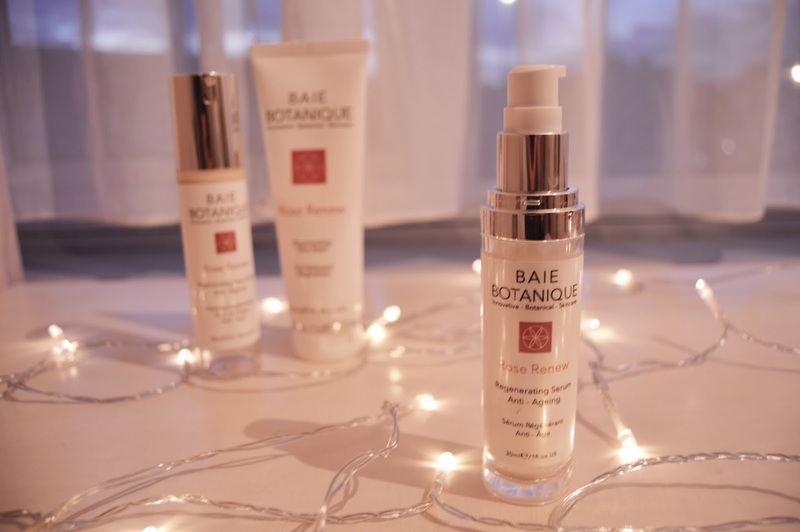 Baie Botanique are a relatively new company but you would never have guessed it when you see their products, they just look so sophisticated. I was also really impressed with the size of the bottles. For £15-£34 each you definitely want to get your money's worth and you definitely do. So they may look pretty but how well do they perform? First of all let's talk about the face wash as this is what you would use first. Another thing I need to mention about this company is that their products are made from completely natural ingredients and you can tell as soon as you open the bottle. There is a lovely natural rose scent which is refreshing but not too overpowering like others can be. I usually tend to go for things that have a more fruity smell but I liked that this was more subtle. The face wash itself is thick and seeps into my skin well when I use it in the shower. I like that there aren't any micro-beads in this face wash (they are very bad) because I find it really hard to find ones that don't have them! My skin does feel smooth after using it but I have to say I haven't really noticed a dramatic decrease in my breakouts since using it. However, as the cheaper item of the set (£15) I think I would purchase this again because it does leave me feeling very refreshed! Onto the regenerating serum, this is probably my least favourite one. It has a similar smell to the face wash but I found it really sticky and left my hands sticky after applying it. It didn't leave my face feeling very nice afterwards until I had put the face cream on and to be honest it didn't really feel as if it was doing anything in particular to my face. Maybe because I am younger I don't really need an anti ageing serum but I was really disappointed with this one. However a good thing I will point out about it is that a little bit goes a really long way, you only need a small pump to cover your whole face. I feel like it may be good if you are slightly older and in need of an anti ageing cream but for me I could happily just use the face wash and the face cream and skip this step. Guess who lost the lid to her face cream! I really liked this product, it made my skin feel really soft and it was easy to apply my makeup on top of. Similarly to the other products it had the same rosey scent and a small pump goes a long way! Apart from that though there's nothing really particularly special about it apart from it being from natural ingredients as I said before. 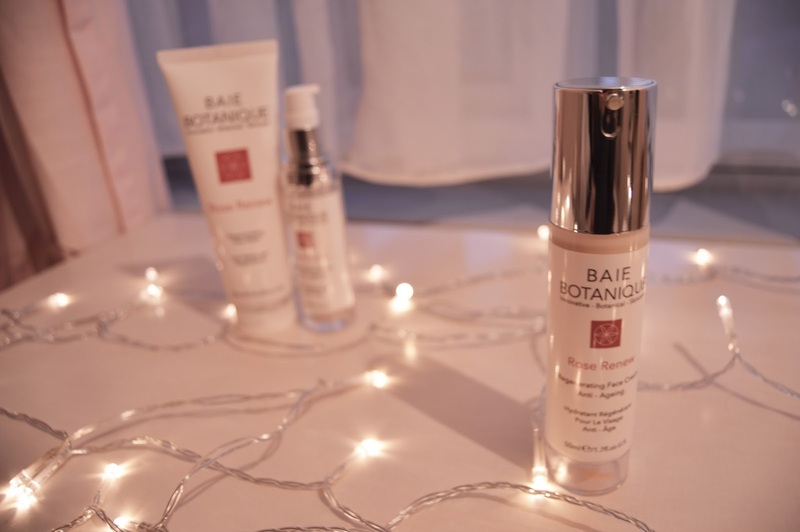 Many face creams have loads of chemicals and things in it that most of us have never even heard of so it's reassuring to know that you can trust what's going on to your face! Overall I really liked these products and I can't wait to see what else the company comes out with! *These products were gifted to me for review but all opinions are my own. 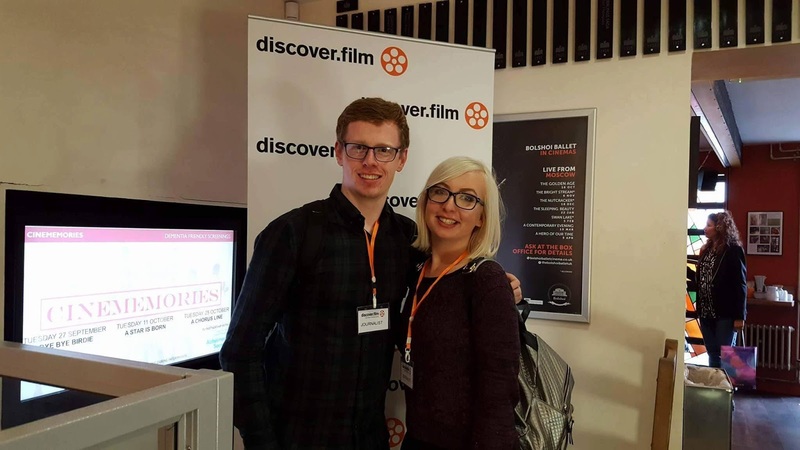 I'm guessing by now that most of you know how much I love films and want to work in the film industry, so you can imagine my excitement when I got invited to the Discover Film Awards! 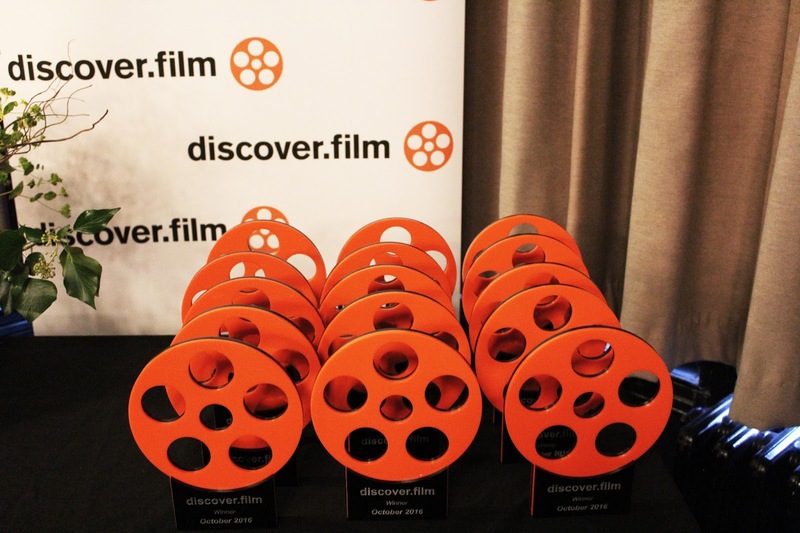 If you don't know, The Discover Film Awards is a film festival run by discover.film, a website dedicated to short films. This is a relatively new festival so I was astounded when they said they had had over 1000 entries which they had to filter down to just 40 to show at the event! 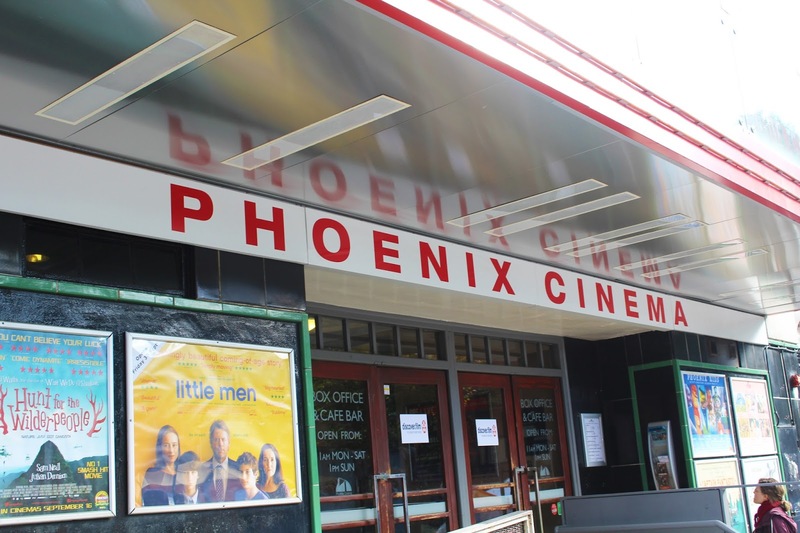 The festival took place over two days (last Saturday and Sunday) at the Phoenix Theatre in London, one of the oldest in the world! So I hopped on a train early Saturday morning and met my brilliant blogger friend Harry (seriously you should check out his blog!) and our friend Jon and made our way to the event. Once at the cinema we were met by a lovely man who sadly I can't remember the name of but he took our names and gave us these lovely VIP passes which said "Journalist" on them. Not going to lie I felt super professional wearing this and didn't want to take it off! The film makers all had their photos taken by the discover film back drop and were given a free bottle of champagne which I was very jealous about! The auditorium itself reminded me of my favourite cinema, the Dome in Worthing. 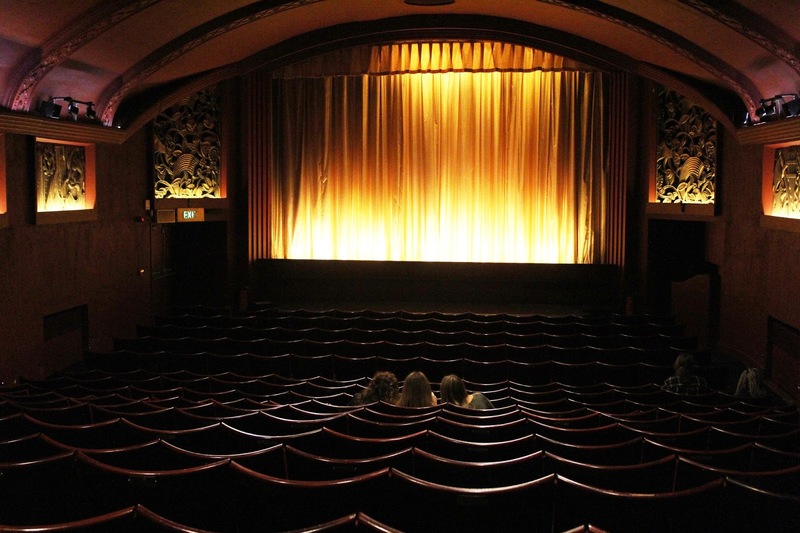 There is just something about old cinemas that I love, they have much more character to them and we really need to do more to support our local cinemas or they won't be here for much longer! Now I'm not going to talk to you about every single film because that would take AGES! So I'm just going to talk to you about my favourites and let you know which ones won awards! On Saturday we watched the first 20 films. I was amazed at the versatility, or what the festival organisers described as a "tootie fruity" mix of films! There were some animations, some CGI, Sci Fi, Drama, Comedy, definitely something for everyone. Of all the films we watched that day it's hard to choose a favourite but the first one that comes to mind is called "Eddie". As described on their website, Eddie is a suspense drama with a black comedy streak about a tired researcher who has to perform tests on his mute test subject, Eddie. He is stuck in an underground bunker not knowing how long for or why his employers are ignoring him. I love films that keep you guessing so that's probably why I loved this one! Another film I really loved was called The Chop. It's a comedy about a Jewish butcher who gets fired from his job and after no luck finding work anywhere else, pretends to be Muslim so he can work for a halal shop. It was really lighthearted and funny and a great way to end the day! Promises A short thriller about a man driving home from work when he realises his wife and son are involved in an explosion on the tube. This kept me on the edge of my seat for the entire time! Penny's From Heaven A sci fi about a girl called Penny who committed suicide, now she must save 1000 people from doing the same so she can get her angel wings. I thought this was a cool idea and had a really nice message and twist at the end. The Lift About a chance encounter between two people in a lift which is more than it appears to be. Directed by the same person who directed Penny's From Heaven, another really original idea and I thought it was especially clever that they managed to film it all in one small lift! Pundemic A sullen recluse learns of a potential pandemic sweeping the nation and is advised not to leave his home. When he realises his supply of tea is non-existent, he must brave the outside. This was really subtly funny and very British! The Last Laugh Three legendary comedians, one very unusual dressing room! A film about Tommy Cooper waiting to go on for his last show (where he died). Even if you don't know much about Tommy Cooper this was still a great film. Crack A really funny film about gangs of London taking part in a new craze - conkers! The Scared One A french film about a child watching his father from his window, placing a scarecrow in the garden. During the night, the child can’t sleep and goes back to the window: the scarecrow is not there anymore. At the same time he hears creepy noises coming from the house…This one was REALLY creepy! After we had watched all the films it was onto the award ceremony! Unfortunately we couldn't stay to hear all the awards but the lovely people at discover.film sent me a list of the winners! Right now I am sitting in Starbucks drinking a large hot chocolate and wearing a big cosy green jumper. I could not be happier about this because it means it is Autumn and my favourite time of the year is approaching. Halloween, Tom's birthday, our (4th) anniversary, my birthday and then Christmas! It seems like all our events are packed into the space of 3 months but I love it so much! One of the best things about Autumn for me is the clothes. I love big jumpers, skinny jeans and boots and omg I am obsessed with bomber jackets this year! Right now though we are still in that awkward transitioning stage where I don't actually have a lot of autumn/winter clothes and trying to scrape together what I can find in between the hoards of crop tops and shorts that I have accumulated over the summer. So I thought I would share with you a little wish list before I go and blow half my student grant on a new wardrobe! None of this is sponsored btw, I just want to show you guys what I like! 1) Woolly Jumper - You can't have autumn without woolly jumpers. You just can't. I have at least 5 at home already but I will end up with more! 2) Oversized Graphic Jumpers - Look I just really love jumpers ok. When it's not quite cold enough for the woolly ones but you still want to be cosy then these are perfect plus they are so fun! 3) Embrodered Bomber Jackets - As I mentioned earlier, bomber jackets are life right now and these embroidered ones are just so beautiful! 4) Woolly Hats - I love wearing hats, especially woolly ones to keep my little ears warm in the winter! 5) Chunky Boots - I don't even have to explain this one, chunky boots are an autumn must have! 6) Mini Skirts - Pairing these with some thick leggings is one of my favourite autumn looks! 7) Grey Rucksack - I included this one because autumn is when we go back to school/college/uni and so we are needing big bags like this! Plus the colour is gorgeous! Thanks for reading! 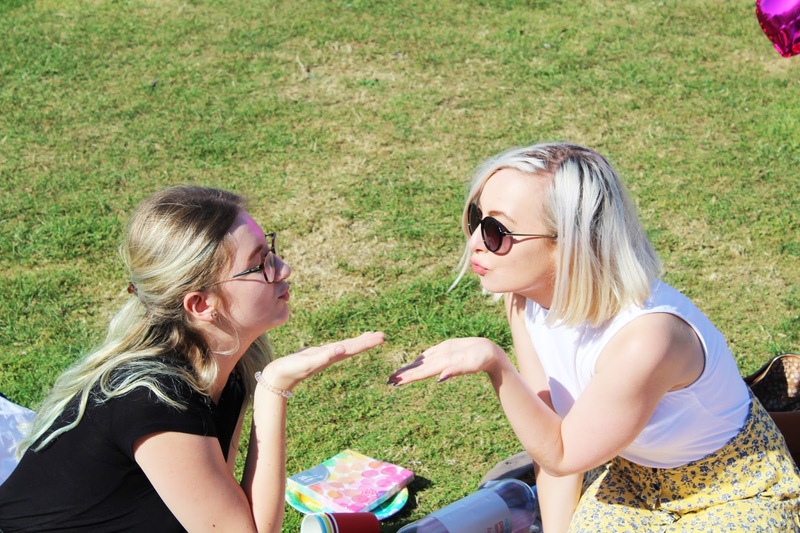 I am going to the student lock in next week so there will no doubt be an autumn haul on my youtube channel very soon! Did you like my wish list? What's on yours? 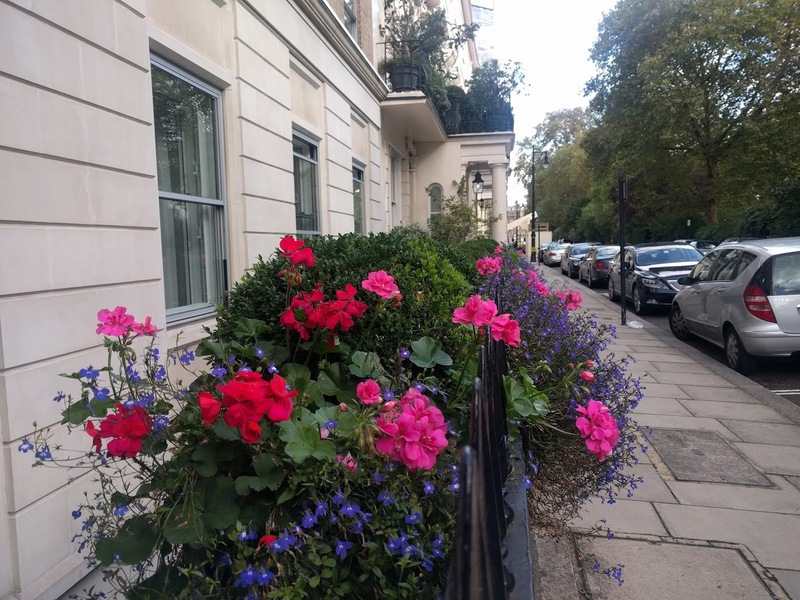 So here we are in the second year of my blogging life and I feel like it's time to jazz it up a bit. 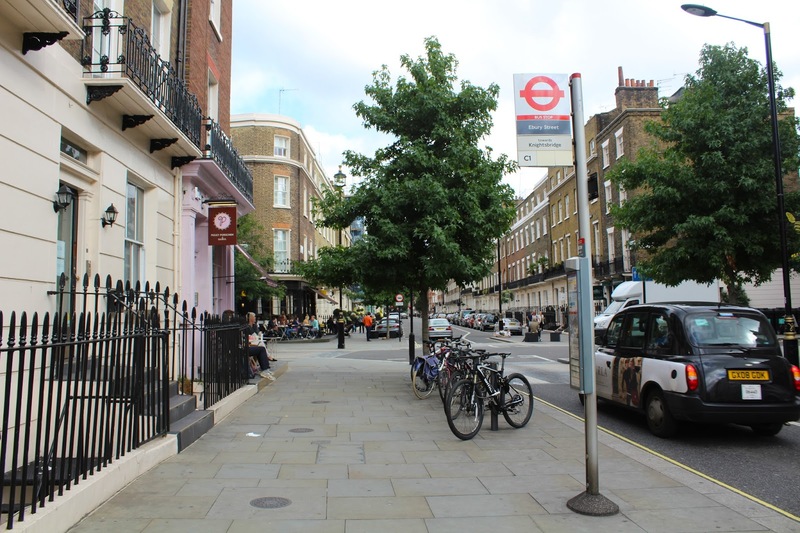 The purpose of this blog was always to write about things I'm thinking about and the things I love. One of the things I really love is film, I mean I go to Brighton Film School for gods sake! So it's crazy really that I've barely mentioned it on my blog before now. But that is set to change, I'm going to start doing more posts about film - not necessarily reviews but just posts about what I'm watching and I'm what I'm loving etc. I'm also considering some more music related posts too as that is another love of mine! Don't worry though, the fashion and beauty posts won't suffer! As you may have noticed I have started to post twice a week now which means there's room for so many more posts! 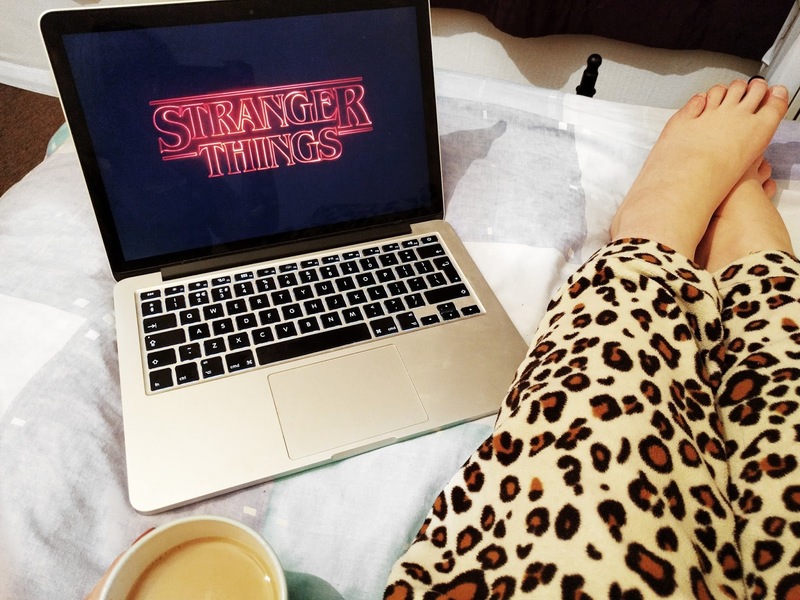 Enough about me, time to talk about Stranger Things! If you haven't seen it yet, where have you been? I'm not going to lie, I got into this pretty late (only started last Friday) but with more and more of my film school buddies nagging me to watch it, I couldn't take it anymore and just had to get into it and I'm so glad I did! So much happened within the 8 episodes and so many more questions were posed that this afternoon I found myself chatting with my friend Jack about all the things we think are going to happen and speculating the true history and intent of the characters. I thought I would compile all of these into a blog post for you and you can tell me if you agree with us or not! DO NOT READ FURTHER IF YOU HAVE NOT SEEN ALL 8 EPISODES OF STRANGER THINGS. I mean you can but why ruin it for yourself? The first thing Jack told me when I finished the series is that the creators confirmed El is alive! We last saw her defeating the Demogorgan. This leads me to believe she is probably in the Upside Down. Maybe the gang will look for her in the next series? Will was there for a long time so he would have a lot of knowledge about it which could help them save her! Ok this was actually Jack's theory but it makes sense so bear with me! Basically, he thinks Joyce took part in similar drugs trials to El's mum, which would explain why she and Will could communicate through the lights in the upside down. Jonathan could hear Nancy when she was in the upside down which is why we think he might have powers too. The reason they can't do things like El can (yet) is because they weren't experimented on like she was, so they've never had the chance to hone their powers. I know this is totally out there and we could be completely wrong but it's interesting, right? 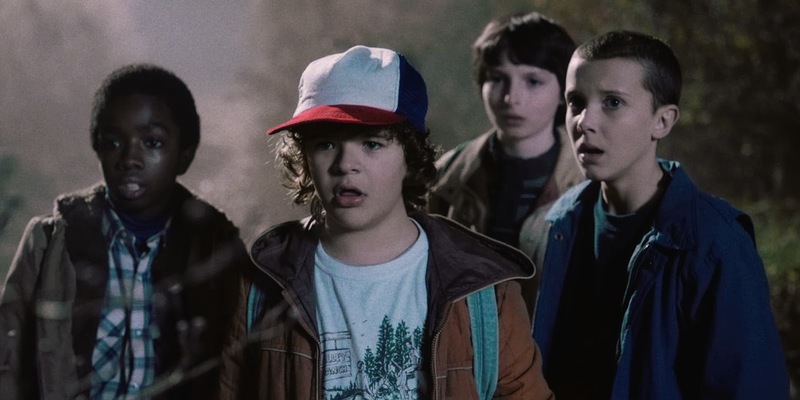 Before they went into the Upside Down, Hopper told Joyce that he made a deal with the government that he won't tell anyone what happens if they let them save Will. 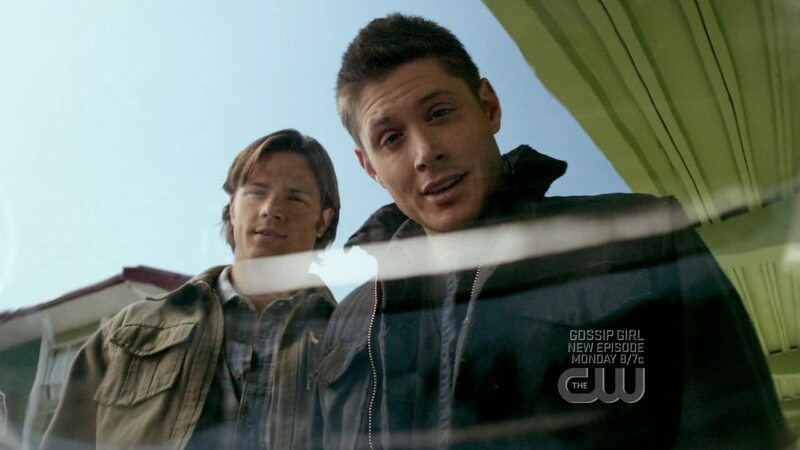 But then when he is walking out of the hospital, a strange car pulls up and he gets in. This lead Tom and I to believe he actually made a different deal but didn't tell Joyce and now he is working with them. Plus he was acting super shadey at the christmas party! Another one of Jack's crazy theories. When Hopper gets tasered and then suddenly he wakes up at home, the first thing he does is check is house to see if it's been bugged. Jack believes you would have to have been trained to know something like this, especially in the early 80s before conspiracy theories were really big like they are now. I AM ROOTING FOR THEM SO MUCH. Ok so the whole taking weird photos of her was totally creepy and wrong, he totally made up for it when he saved her from the Upside Down and they have a special bond from fighting the Demogorgan together. Okay so we see her cuddled up with Steve in the final episode, but the cute present and cheeky peck on the cheek she gave Jonathan for christmas definitely says to me that she has feelings for him. Hopefully they will end up together next series! When El saw her in the upside down and shouted "GONE! GONE!" that was enough of an indication to me that Barb is dead, plus it's been confirmed by the creators. It's a shame because I really liked her character and I think they could have done more with her. If there's a way they can make her come back then I'm definitely up for it! Remember the last scene when Will spits out some gross slug thing? At first I thought maybe that was a bit left over from the Upside Down and the slug thing will grow into a new monster, but Jack reckons he now has a whole harvest of these creatures growing inside of him. I think that would definitely be an interesting twist to season 2! It's pretty inevitable that if there's another series then another portal is going to open. Maybe it will happen on it's own, or maybe it will be opened by Will and his gross monster harvest. One of the final scenes where Will is in the bathroom suggests that it has already started! Thanks for reading! Do you agree with any of my theories? Or maybe you have your own? Let me know in the comments! 1 year ago I had just come home from a trip to Zante with my friends, so I decided to write about it. We had to make blogs at college as part of our BTEC coursework and I had thought for a long time about starting my own. 2 weeks after I arrived home from my holiday I finally decided to go for it and make one. I ummed and erred about what I should call it for a while (at first it was bethanana.blogspot.com because that was the nickname my college friends gave me) but eventually I settled on My Fun Sized Life. I called it this because I am small (5"3) and I wanted to blog about everything to do with my life...so the name seemed to fit and it has stuck! 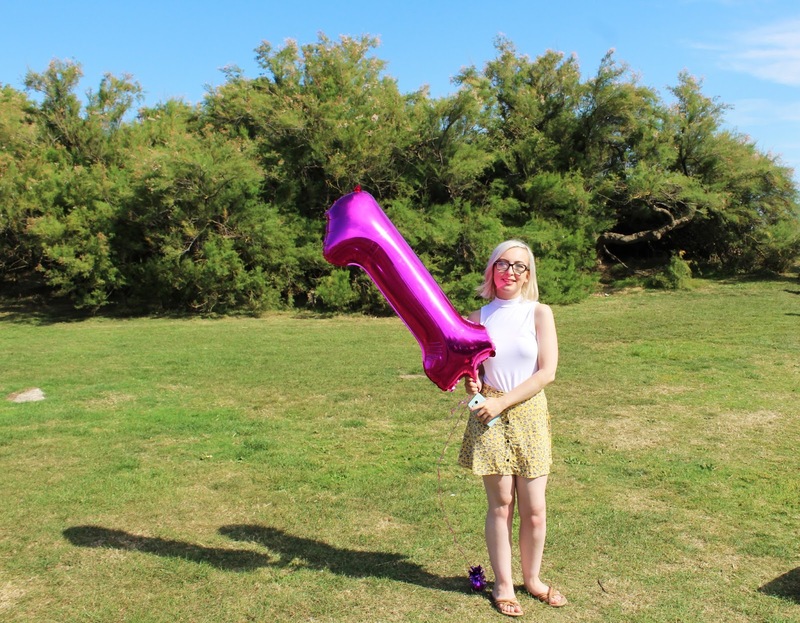 One year on and I never imagined I'd be here with nearly 20K views on my blog! 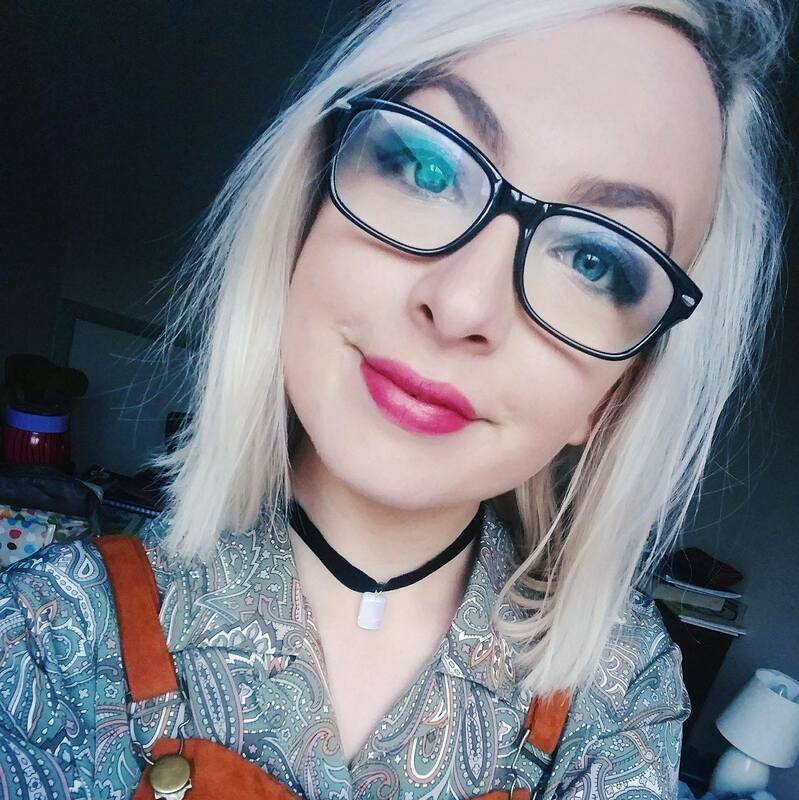 I have started going to events, I am in talks about doing my first sponsored posts and I've met some absolutely lovely bloggers along the way too! 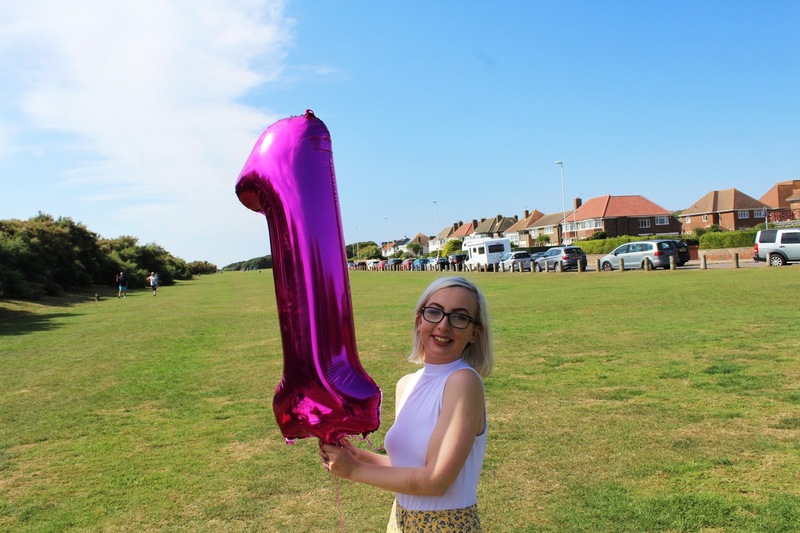 One thing that has really helped me keep going with this crazy blogging malarkey is my lovely friends, so a couple of us got together last week for a picnic in the park to celebrate! I even got a birthday cake for the occasion! things with a * were gifted to me for promotional reasons. The rest I bought with my own money! 2) All Entries must be from the UK ONLY! Sorry international friends I don't have enough money to ship this worldwide! 3) The winner will be announced via twitter at 9pm GMT on Thursday 20th October. In the event they do not have twitter the winner will be announced via email. 4) This competition is run by myself and not affiliated with any other brand or company. 5) The winner will be chosen at random by Rafflecopter's random generator. The prize is worth almost £50 so I think you'll agree it's pretty cool! 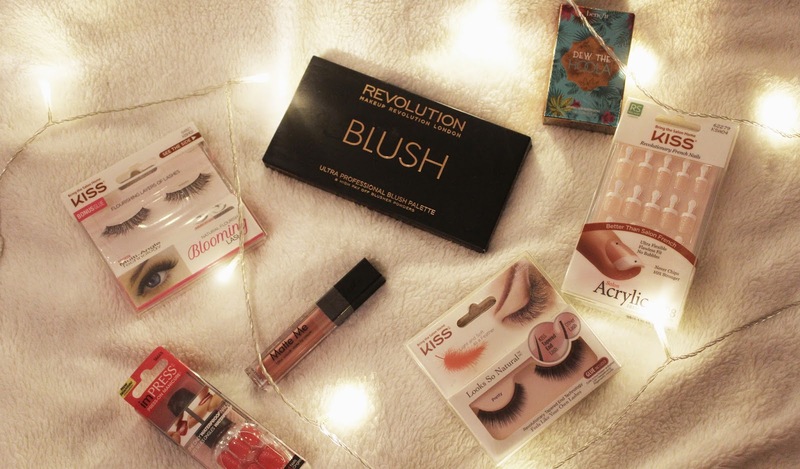 If you'd like to be in with a chance of winning ALL this amazing stuff then you can enter here! I will be contacting the winner on Thursday 20th October. Good luck! Thank you all for reading. Here's to another year of My Fun Sized Life!